Saga holidays represent exceptional value for money as they include a great deal in the price such as porterage of luggage, return flights and airport taxes on overseas holidays, and gratuities on cruises aboard all our ships. A vast choice of destinations Stays and escorted tours are available throughout Europe and North Africa – including Portugal, Cyprus, Italy, Sicily, Morocco and Slovenia. A range of holiday styles Whether you want to 'drop and flop', or explore from a well-located base, there are hotel stays to suit. Plus we have a wide range of escorted tours, as well as island hopping cruises in Croatia and Greece. Free Wi-Fi Free Wi-fi is included at all European Unwind hotels. Flights closer to home Regional flights are available on lots of Saga holidays so you can depart from an airport closer to home. Flexible durations Stay three weeks for the price of two, or four weeks for the price of three at many Europe and Mediterranean hotels. Lots of choice for solo travellers Many single rooms are available at no extra cost, but early booking is recommended. Holidays that indulge a hobby Indulge your passion - be it birdwatching, archaeology, walking or jazz - on themed Saga holidays. Exclusive solo tours There are a range of exclusive tours just for solo travellers available to a variety of amazing destinations in Europe and the Mediterranean. All our long-haul holidays include a door-to-door travel service. Get picked up from home and taken to the airport, or enjoy complimentary airport parking if you drive yourself. Covering the world from Australia to Zambia and everywhere in-between, some Saga destinations may surprise you. Travel to Madagascar, Nepal, Costa Rica, India, USA, Canada, Borneo, Namibia, Uzbekistan and Alaska. Every type of holiday imaginable You’ll find indulgent all-inclusive stays in luxury resorts, action-packed sight-seeing tours, amazing rail journeys, combined tours and cruises, safari lodge stays and amazing adventures. Saga Small Group Tours have been designed for no more than 25 Saga guests so you can enjoy a more intimate sociable holiday to some of the world’s best destinations. You’ll find indulgent all-inclusive stays in luxury resorts, action-packed sight-seeing tours, amazing rail journeys, combined tours and cruises, safari lodge stays and amazing adventures. No matter where in the world you travel to, a team of experts will be on hand to help. ‘Unwind’ holidays include a dedicated Saga Representative and ‘Discover’ holidays feature a knowledgeable Tour Manager. Every ‘Go For It’ and ‘Stay and Explore’ holiday includes the services of the Local Expert, so you can get the very best out of a destination. They’re all supported 24 hours a day by a team back at the UK. Exclusive solo tours There are a range of exclusive tours just for solo travellers available to a variety of amazing destinations worldwide. There's something to suit everyone, from short cruises on French waterways to those that cross the Continent. Cruise on the major European rivers and their tributaries, such as the Rhine or Douro or explore lesser-known ports or regions, such as the Russian waterways, the Elbe and Oder. Return rail or coach travel, within the UK, to your departure point is included. Saga's river cruise ships are chosen for their high level of comfort reliability, standard of service and range of facilities, and a selection of popular ships reserved exclusively for Saga guests. Saga offer travel by coach and Eurotunnel to join many of our river cruises. Every aspect of your river cruise is taken care of by experts – from highly experienced holiday creators, to the Saga cruise directors and escorts who create a sociable atmosphere and the local guides who accompany excursions. Saga Sapphire and Saga Pearl ll can visit lesser-known smaller ports that larger cruise ships can’t. Plus, with no more than 720 passengers on board Saga Sapphire – now all-inclusive for 2018/19 – and 449 passengers aboard Saga Pearl II, they have a relaxed and sociable home from home atmosphere. With chauffeur service to the port, 24-hour room service and gratuities included in the price. Saga offer a wide range of inspiring itineraries to a variety of amazing destinations, which depart from Southampton or Dover. With two members of staff to every three passengers you can be confident you will enjoy fantastic service. Setting sail in July 2019, Saga’s brand new, purpose-built ship Spirit of Discovery will bring a fresh and contemporary twist on the traditions of classic Saga cruising. From bow to stern, every aspect of this luxury, boutique vessel has been designed with customers in mind. Take a gourmet cruise around the Spanish coast, go off the beaten track in the Gulf of Bothnia, enjoy a festive transatlantic crossing to New York, spend winter cruising the Canary Islands, take a mini cruise to France and so much more. When the day of your holiday arrives, a chauffeur will pick you up from your own front door and drive you to the UK cruise port or airport. This service is a private chauffeur for distances up to 75 miles each way, and a shared chauffeur service from 76-250 miles each way. The stunning Carbis Bay Hotel and Spa on the Cornish coast has been one of our top performing UK hotels for many years, and we also offer stays in some of the UK’s most beautiful coastal destinations including Devon, Torquay and the Sandbanks peninsula. Holidays in the countryside include the Peak District, Cotswolds, Norfolk Broads and the Yorkshire Dales. From island-hopping adventures around the mystical Scottish Islands of Arran, Bute and Islay, to tours of Cork with the opportunity to go whale watching, our tours reveal some of the unknown treasures of our shores. 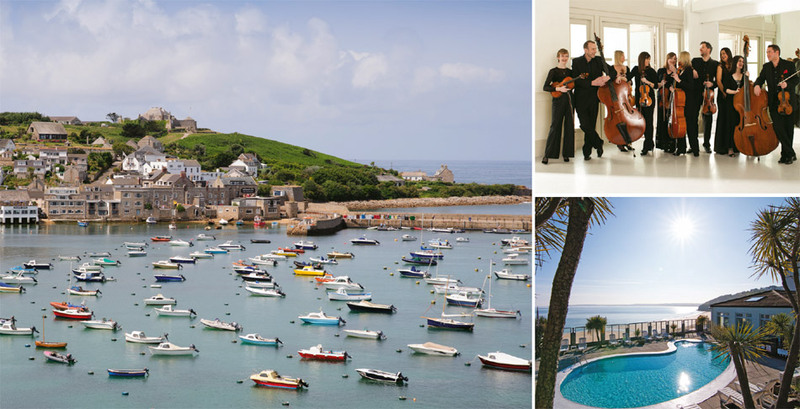 If your customers have a passion for art, gardens, jazz or classical music, then they’ll be able to make the most out of their interest on one of our Special Interest holidays. They’re a great way to share an enthusiasm with like-minded people while enjoying fascinating insights from a knowledgeable expert host. Our range of short breaks are designed to suit the more independent minded traveller and offer the opportunity to visit some of our most famous towns and cities including Chester, Gloucester, Royal Tunbridge Wells, Stratford upon Avon and Durham, plus many more. Whether you’re looking to escape to the sun, explore and exotic new destination, or discover adventures closer to home, we can help you find your dream Saga holiday. Contact us today. Prices are per person based on 2 adults sharing. Prices are correct at time of publishing and are subject to availability and change.